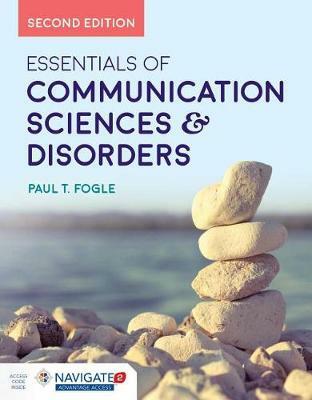 Fully revised and updated, Essentials of Communication Sciences and Disorders, Second Edition is an accessible and engaging introductory resource for students new to communication sciences and disorders. This text covers basic information about speech disorders in both children and adults, while numerous case scenarios and personal stories paint a vivid picture of the profession. Additionally, this text addresses the emotional and social effects of each disorder, as well as multicultural issues, providing students with a comprehensive overview of the profession. Includes Navigate 2 Advantage Access for Essentials of Communication Sciences & Disorders, Second Edition that unlocks a comprehensive and interactive eBook, videos, student practice activities, and assessments, and a full suite of instructor resources, and learning analytics reporting tools.